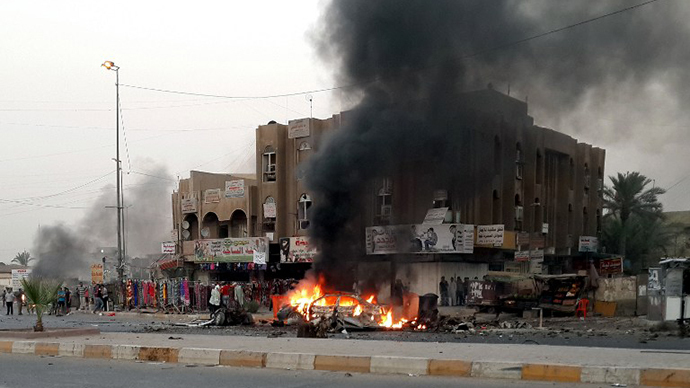 The Iraqi capital was hit by a series of attacks, mostly by car bombs, in predominantly Shiite and commercial areas. At least 24 people have been killed and 87 wounded, Iraqi officials said, although media sources put the death toll much higher. The bombings on Wednesday are the latest in a spike in violence in Iraq over the past months as rebels attempt to derail the Shiite-led government's struggle to stabilize the country. 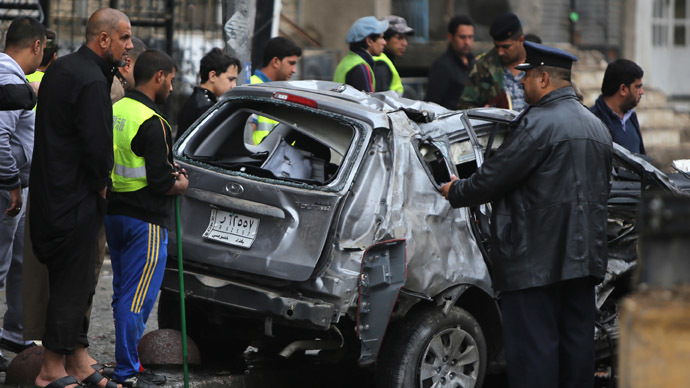 Five of the blasts came from parked cars, while at least one was initiated by a remotely detonated bomb, police said. The deadliest attack occurred in the central Sadria neighborhood, where a car bomb exploded at an outdoor market, killing five shoppers and wounding 15 more, authorities said. Other attacks took place in the Hurriyah, Shaab, Tobchi, Karrada, Azamiyah and Amil neighborhoods of Baghdad. Medical officials, speaking on condition of anonymity as they were not authorized to talk to the media, confirmed the casualty figures. Police sources later told CNN at least 47 people were killed and 132 others injured in the wave of bombings across the capital. There is not yet official confirmation on the total number of dead and injured. With over 7,000 civilian casualties recorded through the beginning of November, 2013 has already become the deadliest year in Iraq since 2008. Last month, 29 people were killed, including 12 children who were killed in an attack on their school. The suicide bomber drove a truck packed with explosives into the playground of the facility. 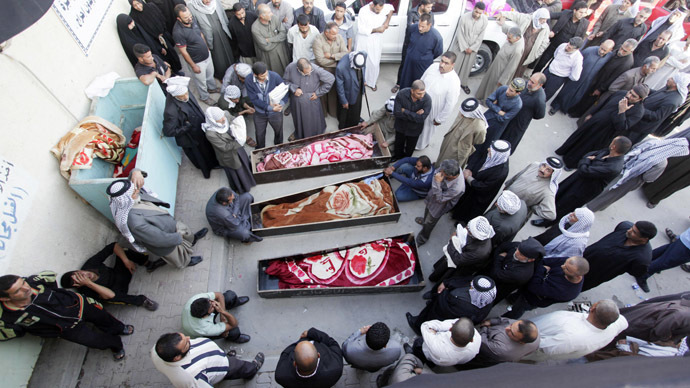 The following day, a string of what appeared to be coordinated attacks killed 38 people in Baghdad. The blasts hit predominantly Shiite Muslim neighborhoods, but there is also an explosion in a predominately Sunni Muslim neighborhood. Wednesday's attacks bring the death toll across the country this month to 421, according to Iraqi Body Count. John Wight, a journalist who has extensively covered Iraq, said Wednesday’s attack must be viewed within the context of a broader regional struggle “unleashed by Sunni fundamentalist” aiming to drag the region back to the 7th century. Wight says in order for the US to have any hopes of curbing violence in the Iraq, it must put pressure on Gulf oil states funding and arming extremists in the country. 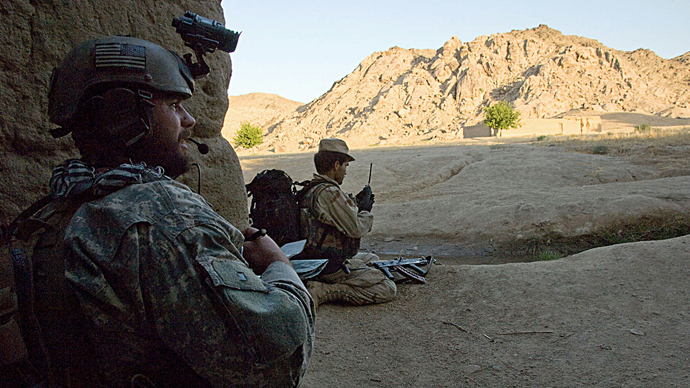 The dual game the US is playing in the region, however, is having unavoidable consequences.